One of the most important experiences we can allow ourselves to explore in this life is to feel the Divine presence that flows through us and everything around us. This awesome sacred energy is discovered through relaxing deeply into our body, and welcoming in the sweet flow of healing sensations that arise from within. By taking a relaxing mini-vacation from our lives, we receive a fresh clean perspective about our current circumstances. Our daily agendas, schedules, desires, and needs can open up into becoming powerful spiritual experiences. We can be devoured by the bliss of this conscious sacred presence that is constantly breathing our very soul. Opening the body to reach a profound state of relaxation begins with forming a new agreement with the mind. We must choose to let go of our tight grasp on how life should and shouldn’t be, and fully accept everything exactly as it is. We must treat the mind with reverence, yet be cautious not to get too close to get caught in it’s stories. With this practicr, the seduction of the mind’s drama will soon falls away, having an instant regenerative experience where we can recover the missing fragments of our soul. It’s good to remember that the Divine presence has no personal agenda with us. It has no resistance to us, opposing arguments, viewpoints, or unsupportive misguidance that it could give. It’s soul purpose is simply to bring us into a state of completion, gratitude, reverence and inner peace. Any feelings of fear or contraction that arise from attempting to face it are merely egoic protection strategies, and can serve as gateways for opening into it more fully. The Divine is much more intelligent than the mind will ever be. It is here to pull us deeper and higher into our highest Self, until we dissolve and become an over flowing river of love, generosity and joy. Where there was tension, resistance and contraction before, the calming sensations of the Divine engulfs all our egos clinging controling energy, leaving only a gentle wholesome trail of healing feelings behind. When we tap into the Divine, we discover a place of sacred refuge within our lives that is like nothing else. We find a true home within our heart that cannot be threatened by anything or anyone. It’s like a permanent state of protection that radiates from the light of our soul. We are immediately shifted into a state of consciousness that is beyond all suffering. We discover how our deepest wounds can be easily healed by this loving infinite resource. Is there any better reason you can think of to venture out beyond the limiting perceptions of the ego? Surrendering to the Divine is the only way we can arrive at our soul’s ultimate destination. We receive the gift of true unconditional love and absolute safety, which is not something that can be manufactured in the outer world. 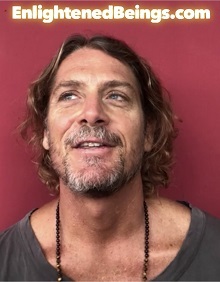 To experience this awesome Divine connection within ourselves, we must practice inviting, surrendering, and merging with the greatest joy we can imagine. We must be willing to imagine what it’d be like to be inside the greatest source of love, healing and elation in the Universe. As we perpetually relax into this infinite resource of love and connection, we start becoming more senstive to our feelings. As we relax deeper inside, we open the channel for a juicer way of experiencing life. Relationships become more healing and less traumatizing, and we discover that each day we choose this path of Divine discovery, we soften those hard parts of our selves that were burried beneath years of protection and unworthiness. The more often we can focus our attention upon these expansive qualities of the Divine, we begin to manifest it into our everyday lives. By focusing upon these qualities, it welcomes the energy directly into our bodies and minds. The Divine can be found through anything and anyone. As the old saying goes, if we cannot see God in all, we cannot see God at all. So when we redirect our awareness towards that which opens our heart, expands our consciousness, and deeply relaxes our body, we experience the Divine in everything and lead a life beyond our typical tension zone. We can find a security within our aloneness, as if we were being held in a deep loving embrace by the Universe. Creating daily connection with the Divine begins with the awareness that it is always right here right now. The understanding that it is always here now, always present, always available, helps us trust it enough to surrender into it. We humans were designed to trust in life, and we instantly find this trust when we’re met with that which is permanent and unchanging. The Divine presence is the only thing in the Universe that never ever changes. It is like the infinite energy of the sun, always shining upon us yet stems from within us, supporting every pulsing heart beat and breath we are having. It is the blackboard behind this Universal quantum field of energy around us, the artistic canvas of creation, and the spiritual foundation from which all life experiences are laid upon. The only reason every moment of our lives is not spent in having a perpetual spiritual experience is because we are stuck in the dualistic perception of the mind. We are hypnotized in the way, fixated on the good/bad themes of our inner movies, dreams, thoughts, and judgments we are having. The truth is that our mind is simply laying a film of information on top of this ever loving Divine Reality, yet not actually changing the actual foundation of it. Our judgements have stopped us from wondering and wandering down the roads of clear seeing, forgetting that we are each infinite all powerful spiritual beings having a temporary experience of being human. When we stop and drop our ego’s limiting ideas about who we are and who we are not, we create a space to feel that this highly intelligent conscious creative source of energy is inside everything and everyone. This idea liberates us on the deepest levels. Our lives naturally open like a flower to a spiritual sunshine, spreading our petals to receive the warm rays of healing Light from inside. This element of surrender instantly pulls this sacred sensation into our body, streaming through every fiber of our being, welcoming the exquisite healing feeling into the mind, heart and soul. The more often we realize that there is nothing untouched by this divine intelligence, that it permeates every conversation, every car, house and television we see, we can begin to feel it more clearly. When we stop to remember throughout the day that it is the fabric of existence, we seem to drop into the sensation of it as it is the foundation of our very being. We find that the Divine energy is everywhere, like a billion threads of light that are constantly weaving itself through the tapestry of our lives. It’s always finding new ways to enter our minds, sneaking through the emotional cracks, anxieties, and personality flaws of our ego. These cracks and flaws are not by accident, for this is the only way the Divine can enter us, otherwise we will be on guard, protective and busy, continually ignoring it’s expansive presence is here. To start being a totally free human being who is in constant contact with the Divine, it’s vital to be aware of the robotic patterns of the mind. The more awareness we have of how the mind likes to remain separate, in control, distracted, and busy seeking ways to fulfill it’s desires, the greater the chance we have at becoming free from it. It’s because we fan the perpetual flames of our burning desires that we forget the amazing spiritual discoveries we could be having along the way. It is a deep trap that we can be seduced into for lifetimes if we aren’t aware of it. One of our greatest responsibilities is to be vigilently aware when our desires around relationship, money, health and the material world can become more important than our connection to the Divine. When we are unconsciously playing the game of being wrapped up in our all too important lives for too long, we may completely forget about our spiritual path. To find freedom we must stop pushing ourselves and rushing through our lives to achieve our desires. We must be willing to surrender to something bigger than meeting our desires if we are to remember our original connection to this Divine spiritual presence that is always available here now. If you’d like more support on your journey to self-realization, experience our Super Manifesting Program which is designed to empower your life and liberate your Soul. This highly enlightening program will continually show you exactly how to discover this divine aspect of your being, so that you can manifest and attract whatever your heart desires in the world. 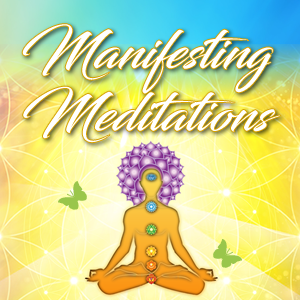 The manifesting meditations you’ll receive will help you relieve yourself from any tension you have inside that may be blocking you from knowing this Divine Source within you. You can discover how EASY it is to attract anything you desire, and create an entirely new life that you truly love!! 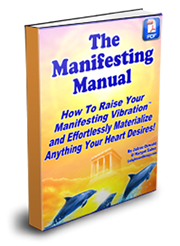 Click Here to See What’s Inside the Super Manifesting Program Now!